European Council president Donald Tusk has written to EU leaders urging them to adopt his so-called “flextension” to Brexit of one year. France now appears to be on track to accept a further delay to Britain’s departure from the EU. Following the talks in Paris, a Downing Street spokesman said: “The Prime Minister met with president Macron in Paris this afternoon ahead of the EU Council meeting tomorrow. “Following the Prime Minister’s letter to Donald Tusk last week, the leaders discussed the UK’s request for an extension of Article 50 to June 30th, with the option to bring this forward if a deal is ratified earlier. “The Prime Minister updated President Macron on the ongoing talks with the Opposition to agree a way forward that respects the result of the 2016 referendum. 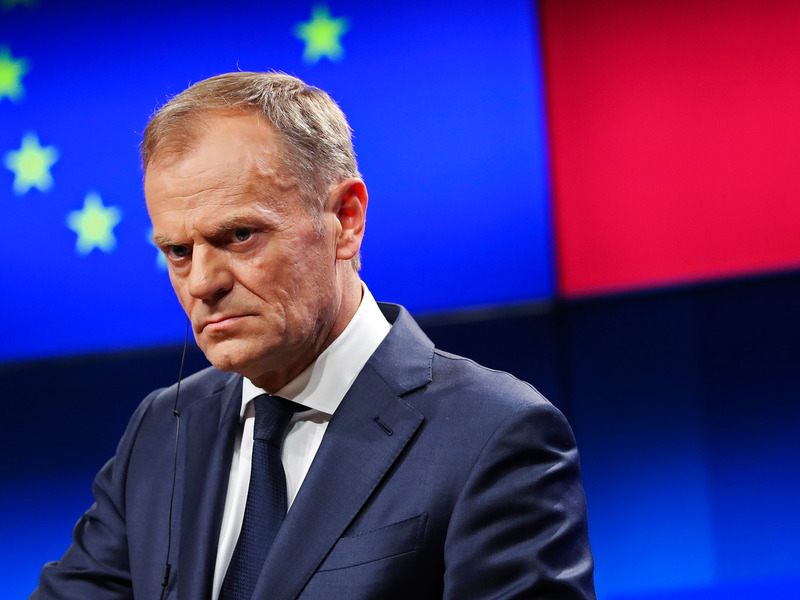 Mr Tusk, in a letter to the heads of the 27 remaining member states ahead of a crunch summit on Wednesday, said there was “little reason to believe” that the ratification of Mrs May’s beleaguered Brexit deal could be completed by the end of June.